I can’t believe my granddaughter is 4 years old. 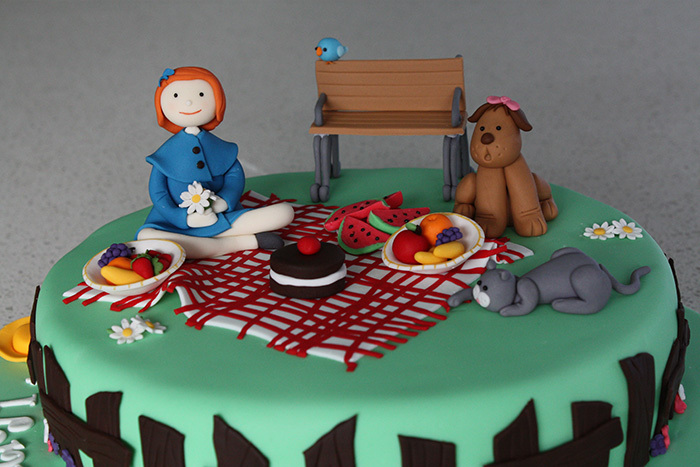 For her birthday this year she chose her own cake theme. It did change a bit over time, she was planning ahead. It started out she just wanted a strawberry on her cake. 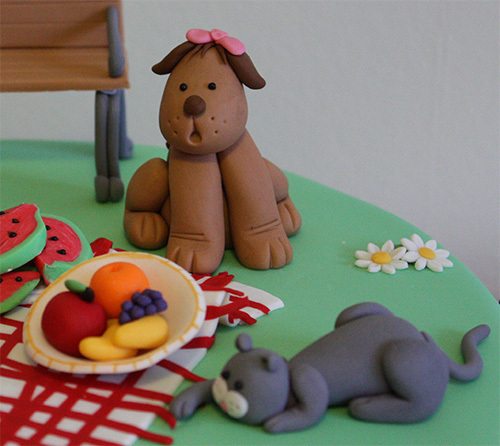 Then later she upgraded that to a strawberry and a dog, followed by a strawberry, a dog and a cat. Next Madeline was added to the list, she just loves the tales of Madeline by Ludwig Bemelmans. The final addition was an angry bird. Ok, so the challenge was how to put all these elements together in something that made sense…. 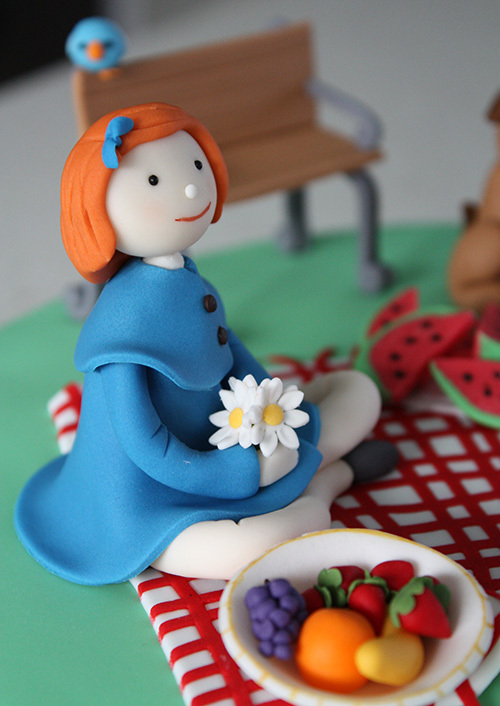 Madeline, some strawberries in the bowl of fruit and a blue (angry) bird on the park bench in the background. Genevieve the dog watching the cat playing with the fringe on the picnic blanket.